Start your day with a brainteaser! 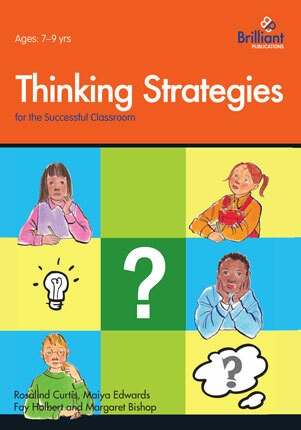 Here are five great brainteasers taken from Brilliant Activities for Gifted and Talented Children to stretch the more able pupils in your primary school class and get their brain cells working. 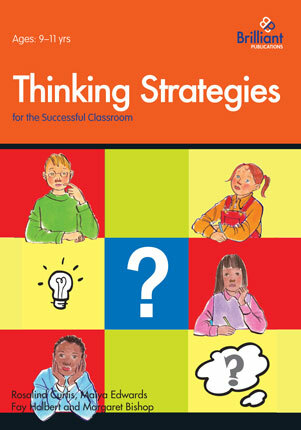 These brainteasers have been taken from Brilliant Activities for Gifted and Talented Children by Ashley McCabe Mowat, which contains tasks that will develop all primary school children’s cognitive abilities, whilst stretching the more able pupils in you class. Two mothers and two daughters were quilting in the living room. They all quilted busily all day, and discussed memories they had shared with each other. Each one completed a quilt. However, at the end of the day there were only three completed quilts. How is this possible? A man was sitting at home watching the news. All of a sudden, he stood up, switched on the light, and began to sob uncontrollably. Why did the man switch on the light and begin to cry? Ask as many questions as you would like, but the teacher can only answer yes or no. Two Australians got on a bus. One of the Australians was the father of the other Australian’s son. How was this possible? Robert and William Parry were both born just before noon on 7th May 2001. They had the same parents, Andrew and Diana Parry. You see Robert and William in the nursery and say to Diana, “Your twins are lovely!’ Diana looks at you and replies, “They are not twins!” You are very confused. They were born on exactly the same day with the same parents! How is this possible? Two men walk into a restaurant. They both order exactly the same drink. One man drinks it fast and one man drinks it slowly. The one who drinks it fast lives. The one who drinks it slowly dies. WHY? 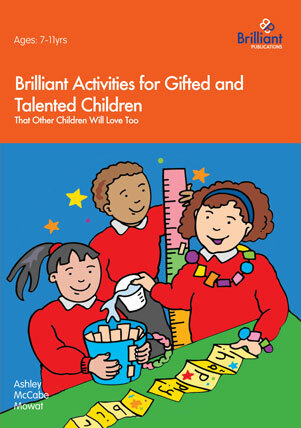 These brainteasers have been taken from Brilliant Activities for Gifted and Talented Children by Ashley McCabe Mowat, which contains tasks that will develop all children’s cognitive abilities, whilst stretching the most able pupils in you class. They were a grandmother, mother and a daughter. The man is a lighthouse keeper, and he saw on the news that a ship is headed for his point but can see no light. It is inevitable that the ship will crash, which is the man’s fault. They are not twins, but triplets! There was poison in the ice. Yesterday at the dinner table my Year 10 daughter asked, ‘Why does hair turn grey?’ This question had come up in her science class and my daughter felt it was wrong that her teacher hadn’t known the answer. This provoked an interesting discussion on what teachers should know, what pupils needed to learn and what the purpose of education was. Given that the world is changing so rapidly, what is fact today, might not be fact in 20 years time. Therefore teaching just facts doesn’t prepare you for the future. While pupils do need to learn some facts, it is equally important for them to learn to think and to find out for themselves – so that they want to become lifelong learners. My father was particularly good at modelling this skill when I was a child. We had a full set of the Encyclopedia Britannica sitting on the sideboard in the dining room, and it was a rare dinner table conversation when we didn’t pull at least one volume off the shelf. 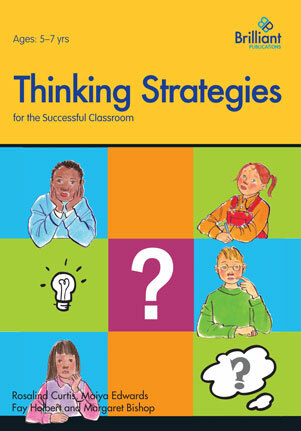 So, how can we encourage pupils to learn to think creatively? As this is a pet subject of mine, Brilliant Publications has published lots of books on this subject. As an experiment, I tried typing ‘creative’ into the search book on our website (www.brilliantpublications.co.uk). I was pleased to see that 44 books came up. I then tried ‘thinking’ and got 30 titles. Why don’t you have a go typing in your own keywords and see what you come up with! A few of my particular favourites are: Stimulate Creative Thinking, CRAMES – Creative Games to Help Children Learn to Think and Creative Homework Tasks. Incidently, the reason hair turns grey is, as we get older, the pigment cells in our hair follicles gradually die. When there are fewer pigment cells in a hair follicle, that strand of hair will no longer contain as much melanin and will become a more transparent color — like grey, silver, or white — as it grows. What’s the point of the box? It’s often said that the successful adults of tomorrow will be adept at thinking outside of the box. Why?